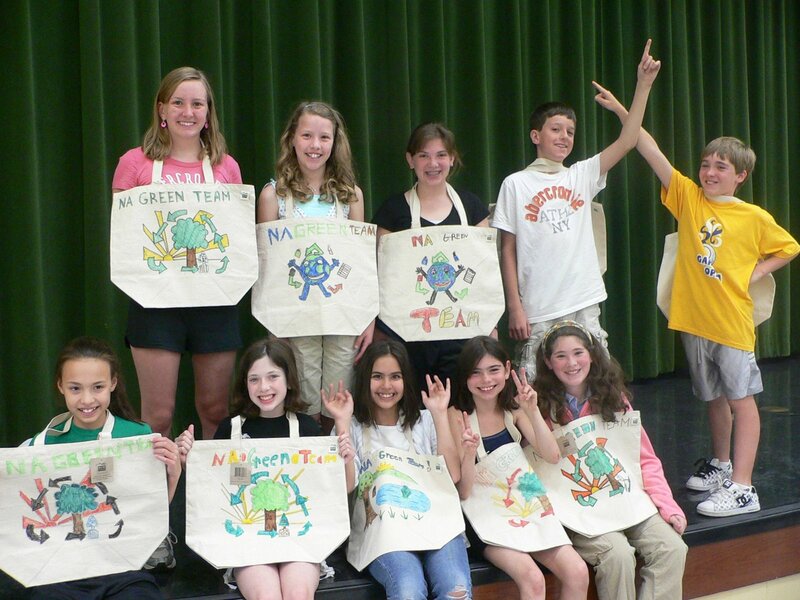 New Albany Elementary Saves Endangered Animals… with ECOBAGS® ! The New Albany Elementary 5th Grade Student Council, of New Albany, Ohio, just wrapped up their Spring 2008 Fundraiser that helped endangered animals and reduced pollution at the same time. They sold ECOBAGS® cloth grocery bags which were hand-decorated by 4th and 5th grade students for $2.50 each, raising in total nearly $1000! All money collected will go to the World Wildlife Fund to help protect endangered animals and every 4th and 5th grade class that buys at least 10 bags will get to adopt their own endangered animal. How cool is that! Personally, I would adopt a Brown Bear if given the choice, just cause they’re so big and cuddly. We here at ECOBAGS.COM are so thrilled that our bags are being used in such a positive way and that they’re in the hands of some future leaders who have already proven themselves to be incredible planetary caretakers. New Albany 5th Graders proudly display the handiwork that helped them raise $1000 for endangered species!